tranSfera searches for non-verbal forms of communication between those in an intimate relationship. 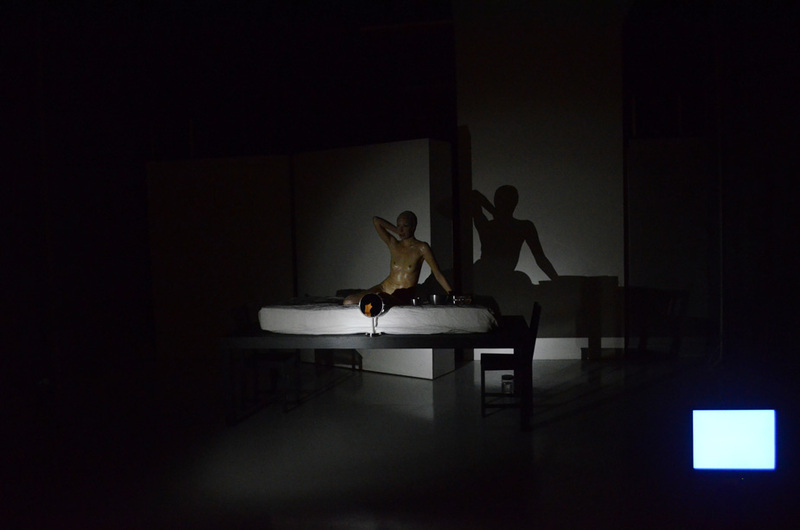 it is a hybrid work utilizing live performance, real-time video and sonic compositions. between the senders and the receivers stands the human body, in which electronic systems and impulse transmitters are placed. through media and technology the artists alter the perceived image of the body, referring to modern information chaos and the manipulation of reality. 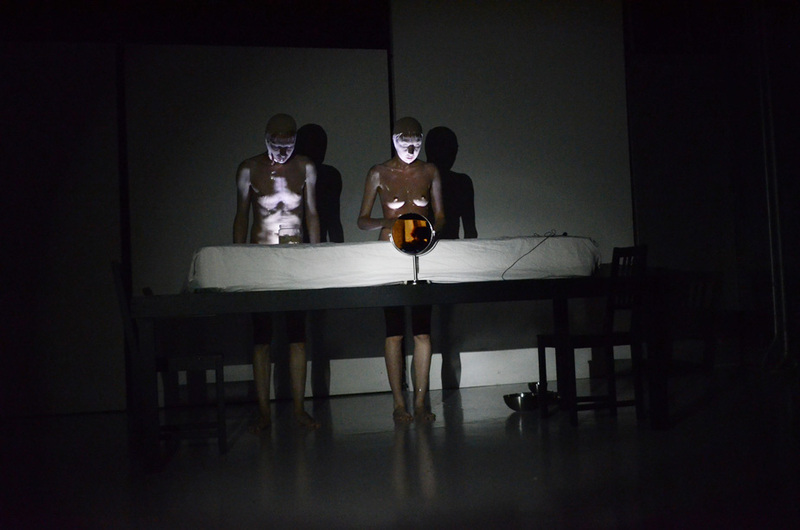 SUKA OFF is a POLAND based artist collective existing since 1995. the members of SUKA OFF are PIOTR WEGRZYNSKI (founder, visual artist, performer) and SYLVIA LAJBIG (classical philologist, performer). they have been creating work across visual theatre, performance art, club action, installation, photography, video art and music visuals. SUKA OFF’s work has been presented in theaters, art galleries, clubs and festivals in most EUROPEAN countries, as well as in CANADA, USA, ARGENTINA, BRAZIL, CHILE, MEXICO and JAPAN. for over 10 years they have been lecturing and leading workshops in POLAND and abroad. the postindustrial aesthetics, the “clash” between human body and the substance of steel / aluminum / concrete / silicone. MAJESTY OF FLESH is a series of exhibitions and discussions initiated by DEFIBRILLATOR to examine extreme uses of the body as site, research, and practice. through this project we aim to build appreciation and awareness regarding the underrepresented genre of body modiﬁcation within time-based art. SUKA OFF (POLAND) kicked off the series in OCTOBER 2013 and ROCÍO BOLIVER (MEXICO) will complete the series in MARCH 2014.